Replaces standard T8 fluorescent-style bulbs, providing the benefits of LED lighting without having to change light fixtures. 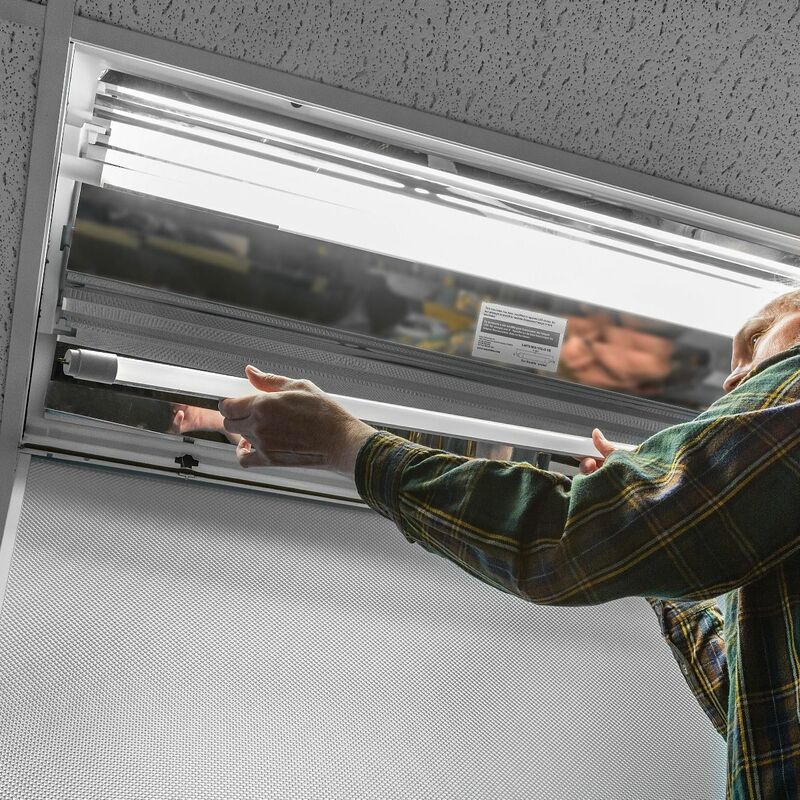 Easily upgrade your old 4' fluorescent lights to more the reliable, energy-efficient LEDs. 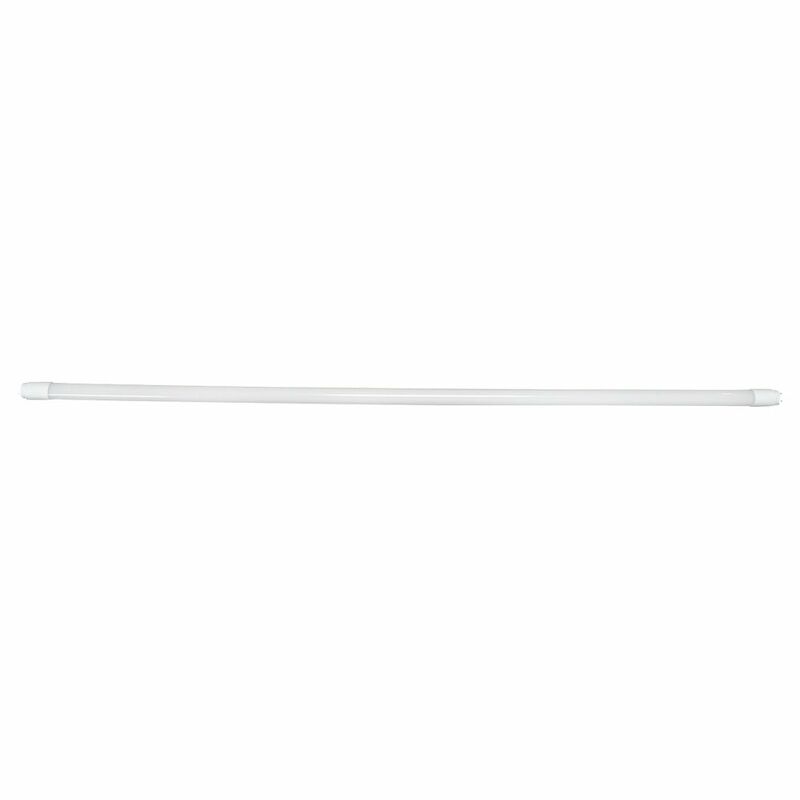 Just swap out your old fluorescent tube with this LED tube and you get up to 50,000 hours of bright, white light. 50,000 hours means that the light can be left on for eight hours a day, every day, for over 17 years. No hum and no mercury for a safer, more environmentally-friendly lighting solution. Bright white light is very easy on the eyes, and comes to full-brightness the moment you turn it on, even in cold weather. Please check the Product Compatibility List to be sure that this will be compatible for your fixture. I hope it lasts longer than florescents. LED 40 years, we'll see. Well I probably won't. Used these to replace standard fluorescent tubes in fixtures in my cold basement/garage. They come on immediately (not like previous bulbs) and are significantly brighter. i liked the fact that they are stand alone replacements, not requiring a new fixture. A GREAT and affordable investment ifor you shop! They worked like a charm in my old florescent shop-light fixtures! I highly recommend these LED replacement tubes. I used these replacement bulbs in the kitchen and my wife just loves them. She says she can see much better cooking with the brighter light. Plus more energy efficient. Works great. Easy to replace the old bulbs. My shop is very well lit now! These install easy and make a great difference in the brightness of my shop. Good price and free shipping. Easy to use, just put in old florescent fixture. Had one fix ture that may have had a bad ballast as the new bulb got hot and only partially lit. 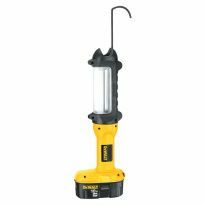 I puchased 12 of these to replace existing flourescent light bulbs in my shop. Installation was the same as the previous bulbs, but these LEDs are lighter and more flexible. Recommend using the white plastic ends when installing so you’ll have a good grip to twist the bulb into place. The lumens and color are perfect for shops, in my opinion. I couldn’t be more pleased. I found the tubes to be an easy replacement of my fluorescent tubes. No need to disconnect the ballasts. The light is noticeably brighter . Overall a great product. works well, lots of light, I replaced old floresent bulbs in kitchen. I do recommend the replacement bulbs. These are great bulbs at a great price. Buy them. These replacement bulbs are economical to buy and look great. Much brighter. These lights are fantastic! Plenty of light for my shop, they come on in the cold too. I’m buying for the basement and garage. Yes,I recommend them. I removed the existing florescent tubes from my fixture and installed the new LED lamps, turned it on and LIGHT. Fantastic! My old tubes suddenly dying, needed replaced. Saw these while leafing through catalog & on sale. Ordered six. i have Parkinson's & had trouble gripping old tubes to remove. New ones slimmer with plastic tubes, easier for me to handle. Installed in just a few seconds. MUCH brighter. I seldom give a five rating but for these, absolutely. Side note! I have not been disappointed with any product purchased from Rockler. Bought 6 of these LED replacement lights for new lighting in my workshop. Bought the florescent fixtures years ago, but just got around to mounting them and decided to go with the LEDs to save on energy and for the added brightness; also because I was wiring these into my existing WS lighting circuit. These are nice and bright and put out a whiter light than my existing fluorescent lights, but no so white they become annoying. Fight right up to the fixtures and worked fine with existing ballasts. Good deal when on sale. Will probably change out my older fluorescents with them over time. I have used other LED tubes that required removal of the Ballast and was skeptical about using the ballast with these tubes. They have been going for a few weeks now and no issue. They are very bright and there is no delay when I flip the switch. These LED tubes are the perfect replacement for your non-dimming T8 fluorescent tubes. True plug and play replacements, I loved not having to re-wire the fixture and a sale price that was less than the local big box home improvement store. As aside note, the color is 4000K. I have installed eight bulbs. They seem to be brighter than a 40 Watf bulbs that I replaced. These lights are wonderful. I replaced all the bulbs in my workshop with these bulbs and very happy with them. They are much brighter than the fluorescent bulbs I took out and cost way less to use. With my old eyes, I need all the light I can get on work areas. Best of all you don't have to worry about the ballasts with these led bulbs. Not confident bypassing the ballasts no problem leave them in with these bulbs they'll work just the same. Great replacement for energy guzzling lighting system. The 2000-Lumen 4' replacement tube bulbs are exactly that. They are easy to install and require no electrical knowledge. I replaced all the tubes in the five fixtures in my garage/workshop. I am pleased to report that there was no difference in the brightness of them compared to the tubes I replaced. Highly recommend these. Great price, easy install, energy-efficient. Can't go wrong! These lights are great. I now have a much brighter shop. At this point I am impressed with the replacedment Led tubes. However I purchased two from another source a couple years ago and they did not hold up. I have used Rocklers for about a month and I am very pleased. If these 12 hold up through the summer, I will replace the last 12 tube bank this fall. 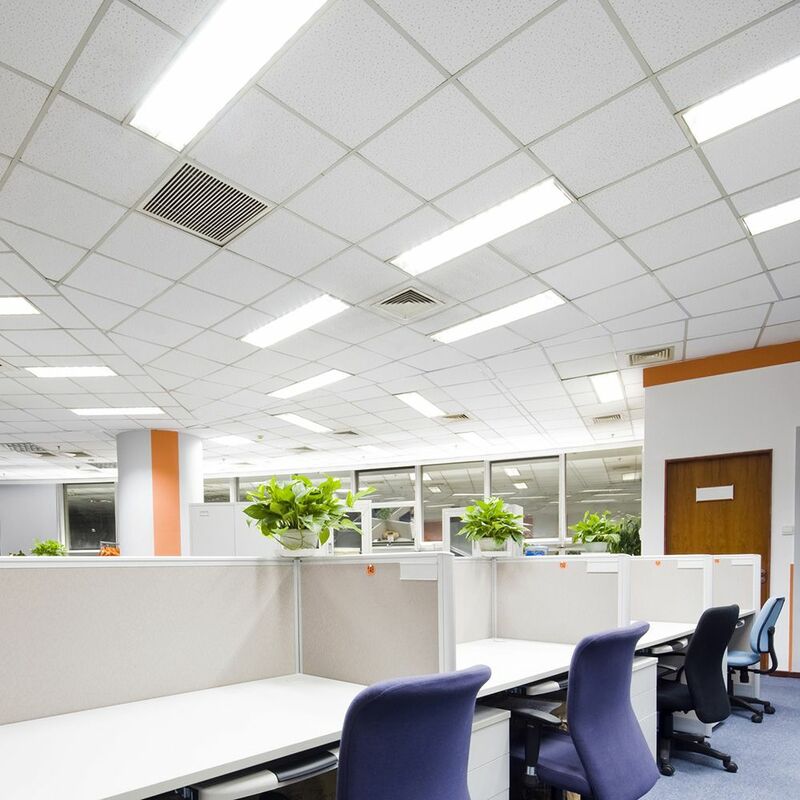 The color is a warm white and easily twice as bright as the old fluorescent tubes. Next test is longevity. Too early to tell at this point but I am impressed. I have been using cheap fixtures trying to save a few bucks. It actually had been costing me much more.... until now ! I had been going through bulbs at an alarming rate. They wouldn't go completely out, just turn black and lose brightness. These LED bulbs have seemed to cure that. VERY bright, steady light. No buzz, Direct replacement. Take old bulbs out, put new bulbs in, That's it. Thank You. I replaced all of my shop (12 bulbs) fluorescent lights with these LED lamps. The difference was like day and night. Now I'm going to change the ones in the garage to LED's. I first bought some at Lowes that were rated the same but were actually worse than the florescent bulbs. Now I am running 6 double lamp fixtures using the same as two 100 watt bulbs. Get them. Very bright and light weight- easy to install. Easily replaced 24 bi-pin 48” fluorescent tubes in my garage. Brighter than my combination T8 and T12 tubes. Not sure that the new LED’s are 2000 lumens, but they are bright! Easy to install and is a lot brighter than the fluorescent it replaced. I will order more in the future as I need them. I took out 4 - 4' florescent bulbs that were burning out and installed 4 - 4' LED bulbs from Rockler. Flick the switch and BOOM!!! It is like my garage is open to direct sunlight!!!! Awesome!!! Great! 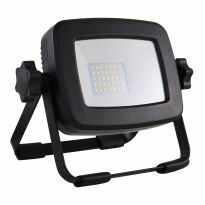 No rewiring of fixtures needed and bright at a good price. Great product! Just replace your old, burnt out 4 ft long 2 pin bulbs with these. Didn't mess with the ballasts or whatever - these worked fine when I seated the tubes. Brighter than fluorescent. Super simple to use. These are a direct replacement for a T8 lamp in a fluorescent fixture. Solved an issue I had in my shop as I didn't want to replace the fixture. Very impressed with the amount of white light generated by these bulbs. After replacing the lights in my Woodson I ended up also using them in our laundry room and garage. I had used other led replacements for fluorescent tubes before and had to rewire them to remove the ballast. These just replace the original tubes. Period. They're great! The best way to update existing floresent fixtures. I purchased these for an area above my craft desk to replace 4-T8 bulbs. 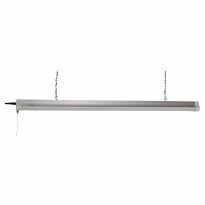 I did try them in the laundry room where I have two 4 foot industrial fluorescent fixtures which are T12 and they fit perfectly and gave off more light. I will replace the T12's with the LED T8's in the near future. These are great. The first four really surprised and me and now I have about 6 more fixtures to retrofit. The bulbs went into the fluorescent fixtures with no problem did not have to rewire anything just plug and go. Great idea. Brighter than the old fluorescent tube and in a cold shop no warm up time. Installed these lamps into a 1930's fixture and they worked right away. Could not ask for anything better!!! Just installed these a few weeks ago and they are a bit brighter and were easy to replace the existing tubes. So far no problems. 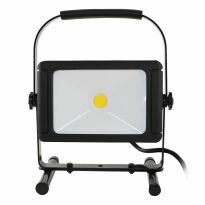 Brighter light, instant-on in cold weather and uses less energy. I tried them and they were great! Brighter than flourecent. Attempting to correct flickering fluorescents. If they work, I'll be purchasing more. I did buy LED Lights but have Fluorescents fixtures with the bulbs that are flickering all the time. Will replace the bulbs and add a few fixtures. Wanted a more efficient bulb from my fluorescent ones. Had ordered two to try and now completing my need. They are super! To replace fluorescent bulbs in kitchen. 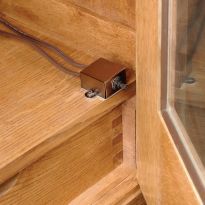 I can use them in the existing fixtures and not have to change anything. Mine needed replaced, better lighting, no need to replace fixture. To replace old fluorescent bulbs that are burnt out. like the product that I have purchase in the pass from your company. Too increase the quality of light and brightness in my shop. Bright Light, long lasting; I am hoping it performs better than fluorescent bulbs that sometime do not function, and sometimes buzz. I've bought four others and they work in my old fluorescent fixtures, and they are bright!! Need better lighting in my shop. Bought 2 previously to see if they would work with my old fluorescent fixtures. Only needed to use 2 in a 4 bulb fixture. They work great and just purchased 6 more for the other 3 fixtures. They are very efficient and produce a lot of light. Bought the model to replace single standard bulb. Worked great in that configuration. Hoping these work as well. To see if they work!! Good price and time to replace old florescent tubes. I had already purchased 4 of these for my shop. I have 2 florescent fixtures and replaced the tubes in one of them. The difference was dramatic. The LED's are much brighter and better color. One of the three tubes is to replace one that broke when it got knocked out of the fixture by accident (watch when moving boards around so that you do not have an accident) and the other two are to go into a new fixture. Just to give them a try. 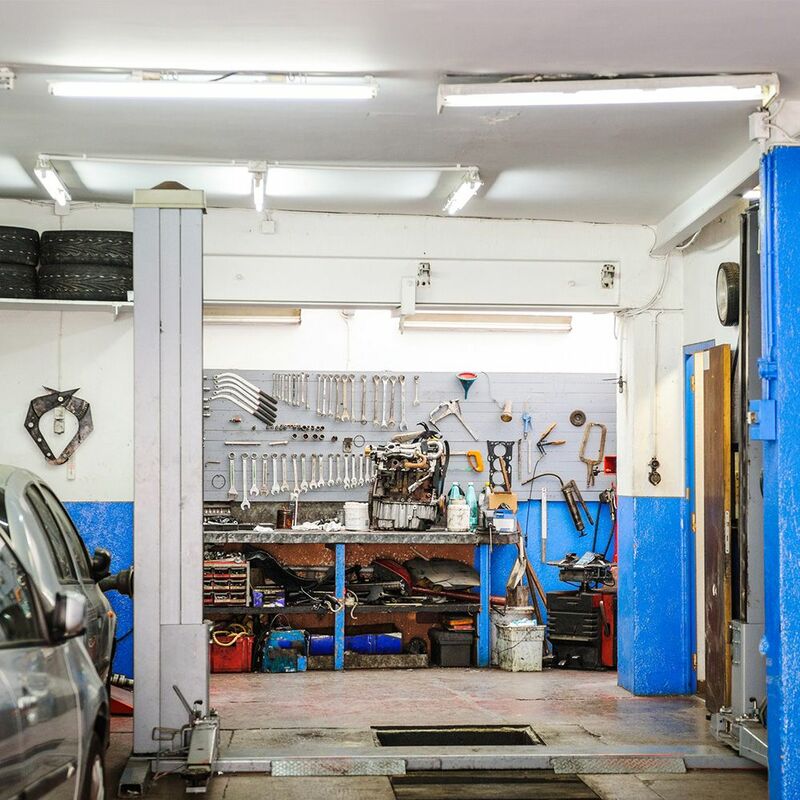 replace dead bulb in the work shop. To replace the fluorescent tubes in the 5 fixtures in my shop. does this have to 2 pins on each end? Does this bulb require removal of the ballast? BEST ANSWER: The short answer is no. Just insert the bulbs and enjoy the brighter light they provide. I understand that there is no need to remove the old ballast from the light fixture, just remove and replace the tubes. But, what about when the original ballast fails, will I need to replace it (the ballast)? The description says that these tubes operate on 120 volts, but the ballast puts out a different voltage. Am I confused? Yes. Are these led's used with or without existing ballast, and if so, which ballasts will work? BEST ANSWER: WE did not remove or change our light's ballast; and, there were no instructions regarding ballasts in the package with the LED replacement bulb. They work with the existing ballast. I replaced the tubes in 5 fixtures of differing ages and was pleased that they all worked correctly. This is a direct replacement for the old fluorescent tube. Just take out the old one and install the new. That's all. Does this have plastic around the LED's to protect them and make them shop safe from breaking glass it they are hit accidentally? BEST ANSWER: Yes. The LEDs are in a clear frosted plastic tube shaped just like the T8 & T12 fluorescent bulbs. They do have plastic around them. They are very safe I have bumped them a few times without any issues. Does the existing ballast need to be removed and the fixture rewired? BEST ANSWER: NO. This is a direct replacement for the old fluorescent tube. Just take out the old one and install the new. That's all. I had a similar question-can these be used without a ballast? Called tech support & they directed me to the company that provides them to Rockler. Talked to Dillon, he checked with someone & came back with the answer. No, these are designed to be used with a ballast. Apparently the ballast provides the current limiting/voltage regulation. Based on the information above, this bulb will work in any fixture using T8 bulbs. No rewiring required..
What happens when the existing ballast goes bad? BEST ANSWER: It won't light. Then you need a new fixture and can get one of the new LED units. Save the tube for one of your other old fluorescent units. I don't know. My main concern was not to have to deactivate the ballast. Fortunately, that was not the case. I'll have to deal with that problem when it arises. I do not know. Fixture is still working very strong. Did not even remove the old fashioned starters. All I did was remove old bulb and install new LED one. If the ballast goes bad will these still work? I just replaced my old light fixtures with 4' LED replacement bulbs. The bulbs seem to go out when there is no movement. Is that normal? Never had that problem. Actually, I take that back. It happened once, and I found out the problem was with the fixture, not the bulbs. That's not a feature of the LED replacement bulbs so I'm guessing it's a feature of the fixtures you put the bulbs into. I replaced mine about 6 months ago and haven't had any problem. Is the existing ballast needed to drive the LED bulbs, or can it be removed? BEST ANSWER: NO need to change any thing just put the new LED bulb in the Fixture. I found the LED much brighter than the regular Flourescent in fact I tried one LED in my Bathroom single bulb fixture and was too bright for that room. no, treat them like any other bulb. The only thing that you need to be aware of is there is a shield on one side of the bulb. When installing the bulb, the shield needs to be next to the fixture, not facing out. We did not mess with the ballast. We simply replaced the tubes. Thus, we cannot comment on whether the ballast is needed. We can only say that the ballast is still in our light fixture. As I read the directions you need to leave the ballast in place this bulb doesn’t have a built in power source. Yes. 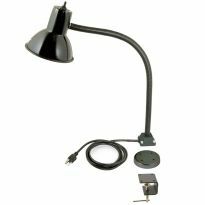 These lamps are a plug and play in a working fixture. Yes the existing ballast is needed to drive the :Led tube. I have not used the replacement bulb yet. Sorry. Are these bulbs 1" or 1 1/2" pins ? BEST ANSWER: I do not know the length of the pins on each end but they are a direct replacement for the normal 4' light fixture. Just take out the old lamp and install the new. Works great in my unheated garage as well as my unheated remote workshop - run extension cord for temporary power. It's GREAT! The pins are 5/16" long and 1/2" apart. Will they work well in cold weather? BEST ANSWER: They are not affected by low temperatures. We recently had a very cold snap here in Texas. 8 degrees. It was about 40 in the shop and these came on instantly. No problems at all. Will be adding more of these in the future, they are great! Mine are in my unseated garage. Last night it was 16 degrees. When I hit the switch, they went on as bright as when the temperature was much warmer. Hope this helps. They work below 40 degrees - and that's cold in Arkansas! Will led replacement work if ballast is defective? BEST ANSWER: Very probably NOT. However, it depends on the defective state of the ballast. I would suggest a replacement fixture such as those available at ACE Hardware. That is where I purchased 2 replacement units and then installed the LED tubes. Very easy to mount via an included chain on an appropriately sized cup hook. No. These tubes are a direct replacement for the old fluorescent tubes and depend on an intact system in order to work. These are different from the LED tubes which require you to remove the old ballast and rewire the fixture. Do they make an 8' version? BEST ANSWER: I don’t know. The 4’ is fantastic for lighting. I do not think so. There is a 2' version. No. Do not know anyone who does. Can this bulb be used to replace older T12 fluorescent bulbs or is it only a replacement for T8's? BEST ANSWER: I don't remember the difference between t8 & t12 bulbs but I can tell you this the bulbs are the kind that have 2 prongs on the end. I had talked to another individual that had replace regular bulbs to led bulbs and was given to believe that I was going to have to bypass the ballast. When I received the led's all I had to do is replace them just like a regular fluorescent. The only difference is that the led bulbs have a shade on them that directs the light down so one has to make sure that the shade is positioned upward toward the fixture rather than pointing outward, but that was no big deal. Because the T12 and the T8 lights have the same pin out configuration we expect the LED replacement bulb will fit either the T12 or the T8 fixtures. We used ours to replace T12 bulbs. 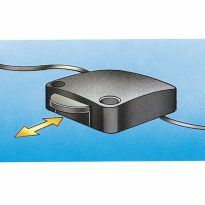 The LED light itself has about a 1" diameter; so, it should be small enough to have no problem fitting in a T8 fixture. yes, I have used this lamp to replace either one. If one just replaces the bulbs without having to rewire, are you loosing the LED energy savings? BEST ANSWER: If the replacement tube pin spacing makes contact with the fixture sockets there is no need to replace the fixture. When I upgraded mine, one of the fixtures had to be replaced. Recent fixtures all seem to have the correct spacing of the pins. 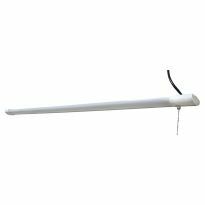 As I understand it, the savings in using the LED tube comes from the lowered current draw from the fixture's ballast transformer. Hope this helps. No, the only energy consumed is to drive the LEDs. 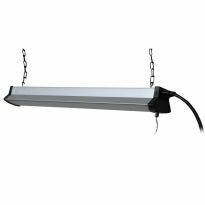 The lamp contains a small step down transformer which allows the LEDs to be used without removing the high voltage transformer in the old fluorescent fixture. I plugged in my old fixture with 2 fluorescent bulbs into a kill-a-watt meter, it read about 74 watts, I then put in the 2 LED bulbs and it read 52 watts. can this bulb replace a 4 ft T12 bulb (1.5 inch dia vs the 1 inch dia of the T8)? BEST ANSWER: I'm confused. The description says this CAN't be used to replace T12 bulbs, yet a couple people have said they did that with no problem. I'd prefer not to buy them only to find they don't work in my fixtures. Yes, I just did exactly that. So much brighter, bright white light. No warm up!!!! I did the same thing...this bulb fits into a T12 socket perfectly, and works excellent! Is this a direct plug in? Can someone who's installed them please answer. 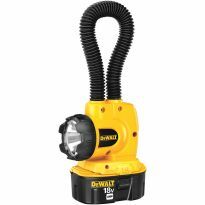 HD sells a similar product, but once opened, the instructions said to eliminate the ballast on the existing fixture. BEST ANSWER: I replaced 4 - T12 bulbs, direct replacement, no changes! Bright white light, much, much brighter than the ones they replaced!!! YES! Remove the old fluorescent tube and insert this one. It is a direct replacement. What frequency or wave length is this light? 2700 Hz warm light vs 4500-5000 bright antiseptic operating room white? How many watts does it use? BEST ANSWER: from the technical specs: the color temp is 4000 and the watts are 18. I can't tell you what frequency they are or watts they use. I think wattage depends on if you remove the ballast or not. However ballast removal not required. I replaced all the bulbs in my workshop with them and like them very much. They aren't the warm white of the old bulbs kind of a clearer white I'd say. Much easier to see things with my old eyes. I don’t know color temp but they are a warm white, not blue white. Does this light require a ballast to work? My ballasts are bad, do not want to replace. BEST ANSWER: That's is the wonderful part of these bulbs. No ballast required! I have both 8’ and 4’ floresent fixtures. How do I tell the difference between T-8, T-10 and T-12 bulbs? do they have these for t-12 bulbs?